Reliable atomic and molecular opacity tables are essential to a wide variety of astrophysical models such as solar and stellar interiors, stellar and planetary atmospheres, stellar evolution, pulsating stars, and protoplanetary disks, to name a few. With the advent of powerful observational techniques such as helio and asteroseismology, solar neutrino-flux measurements, and exoplanet probes, new 3D hydrodynamic photospheric simulations that include non-LTE and granulation effects, high-performance atomic and molecular computing, and innovative plasma experiments, the accuracy and completeness of the opacity tables are being taken to unprecedented levels. 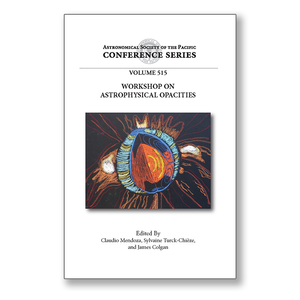 The Workshop on Astrophysical Opacities gathered opacity data producers and consumers from both the atomic and molecular sectors to contribute to solving outstanding problems and to develop more effective and integrated interfaces. It was held during the week 1-4 August 2017 at Western Michigan University in the very welcoming town of Kalamazoo, Michigan, USA.